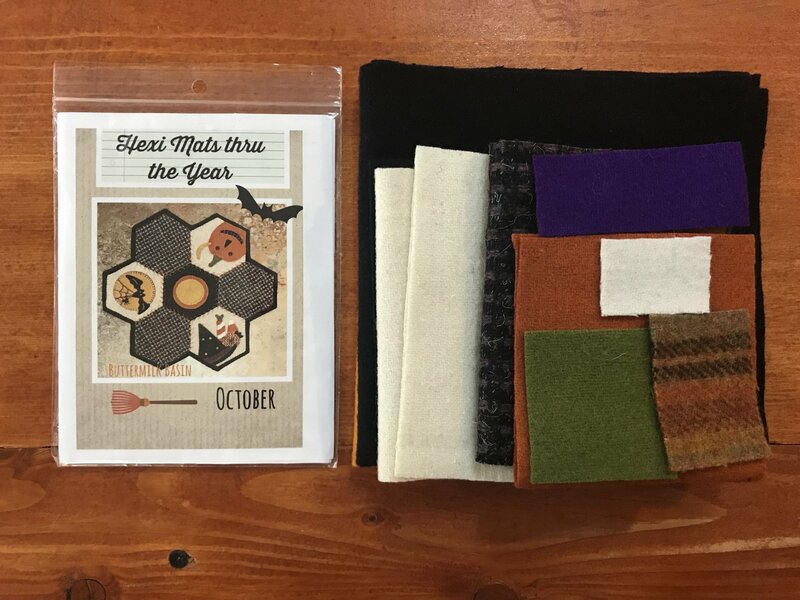 Buttermilk Basin October Hexi Mats thru the Year Kit includes wool for the front of the project as well as a backing. Floss not included. Finished size is 11.5" round.